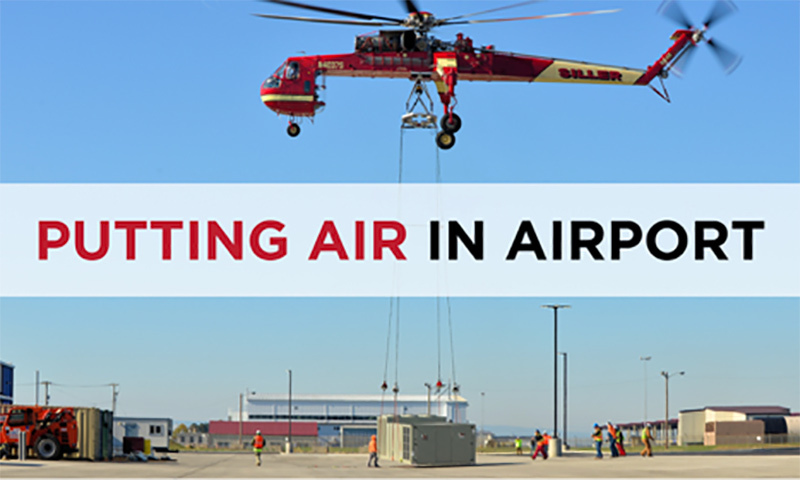 Putting the “Air” in “Airport” | Siller Helicopters, Inc.
Operating in populated conditions is always a challenge. However, when that crowd also occupies the same airspace as you, potential hazards can appear from any direction. 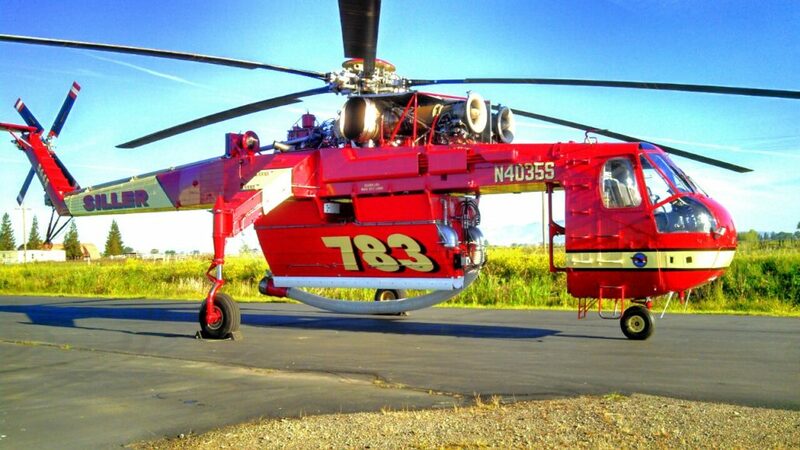 Flying in such a demanding space requires flawless logistical execution and specialized expertise. 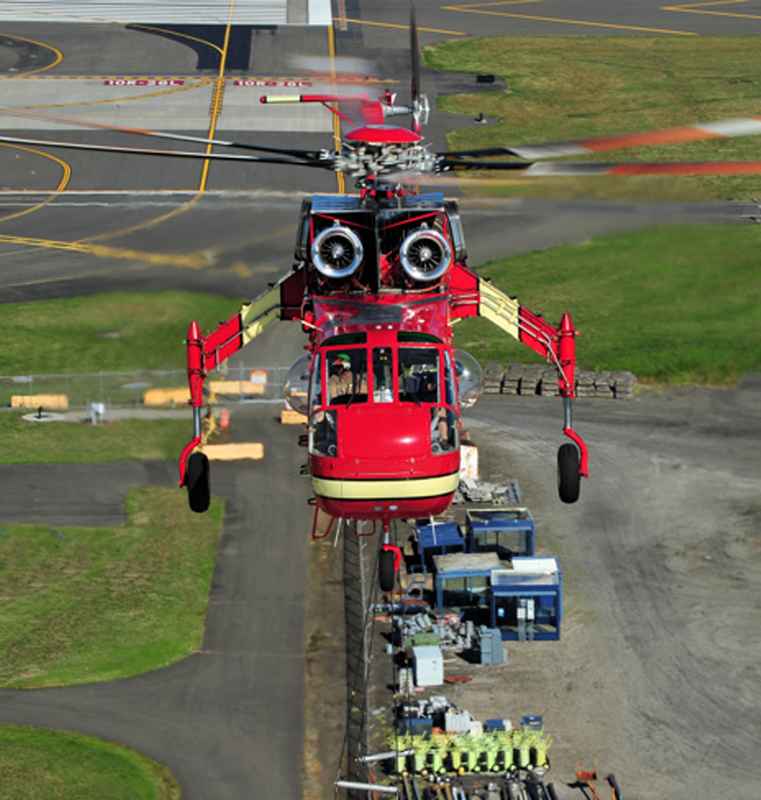 So when Jarrell Mechanical reached out to Siller Helicopters to help with constructing the new United States Postal Service (USPS) building next to the Portland International Airport (PDX), we knew we had the equipment, knowledge and experience to complete this job successfully. The USPS project called for installing (15) 14,500 lb. HVAC (Heating Ventilation and Air Conditioning) units on its distribution center roof. Due to continually departing and arriving passenger aircraft, the operational window to complete the job was exceedingly small. Further complicating efforts were the irregular shape of the loads, which required placement on rooftop curbs and specialized anti-rotational rigging to transport the 33-foot-long units, ensuring that the HVAC did not spin throughout the lift. Siller was brought on to complete this project due to our pilots and technicians’ extensive experience with both the challenging, multi-dimensional flight conditions and the specific HVAC units transported. Leveraging this expertise, several trial lifts were conducted using a conventional land crane to test the rigging, load configuration and center of gravity, dialing in the calibrations necessary for success. Following several brief delays due to unpredictable weather conditions, on the morning of October 14, 2017 a Siller Sikorsky S-64E Skycrane piloted by Dave Smith, Roger Douglas and Scott Turner began lift operations adjacent to the landing zones and set sites. 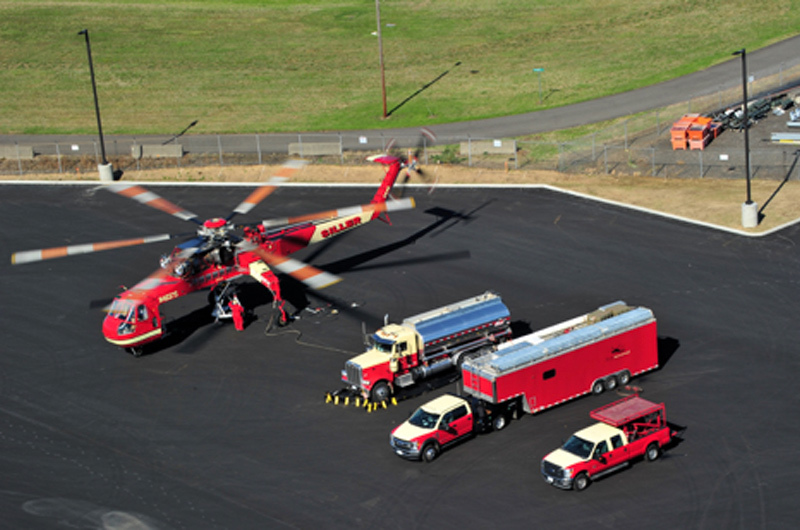 Coordinating tightly with air traffic control and FAA officials, the HVAC units were transported without incident to the designated landing zones above the postal distribution center. Due to the limited timeframe afforded to the team, refueling was completed onsite to maximize productive flight time and accelerate job completion. 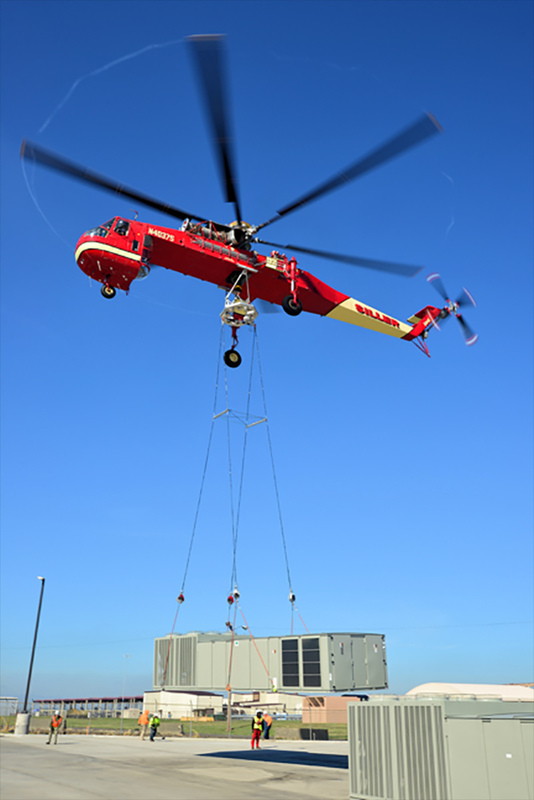 In total, all 15 HVAC units were transported in under three hours, with zero interruption to daily airport operations. This feat that was only possible due to the stellar work of all parties involved.